WSB | Farzad Mostashari, M.D. Cited by Forbes as the ultimate “patient advocate,” a TEDMED visionary and lauded for his expertise, enthusiasm and commitment to innovation and health IT, Farzad Mostashari, M.D., offers a cutting-edge look at health care and its future. 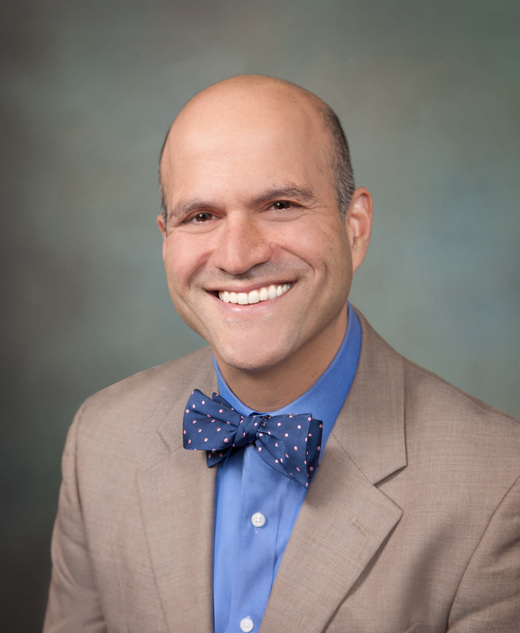 Cited by Forbes as the ultimate "patient advocate," a TEDMED visionary, and lauded for his expertise, enthusiasm and commitment to innovation and health IT, Farzad Mostashari, M.D., offers a cutting-edge look at health care and its future. 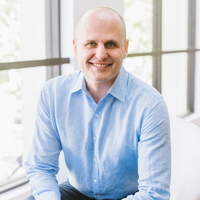 One of the most influential leaders in health care today, Farzad Mostashari, M.D., has been at the forefront of revolutionizing health care as we know it through his innovative approach in applying data to achieve dramatic advances in patient care—and health. Dr. Mostashari is widely recognized for being the driving force behind the extraordinary efforts at the Office of the National Coordinator for Health Information Technology (ONC) that helped push American health care into the digital age, earning them one of the top 25 "Innovations in Government" by the Harvard Kennedy School of Government in 2013. While serving as its principal deputy for programs and policy, Dr. Mostashari launched a wildly successful multibillion-dollar extension service. Prior to his tenure with the federal government, he served as assistant commissioner at the New York City Department of Health and Mental Hygiene, held posts with the Centers for Disease Control and Prevention, was a lead investigator in the outbreaks of West Nile virus and anthrax in New York City, and was among the first developers of real-time, nationwide electronic disease surveillance systems. 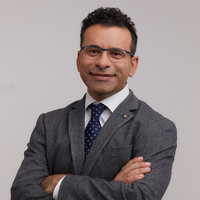 A true visionary, Dr. Mostashari recently completed a fellowship at the Engelberg Center for Health Care Reform at the Brookings Institution and launched Aledade, a startup he co-founded aimed at helping primary care doctors form accountable care organizations (ACOs). Offering audiences unparalleled insight on some of our biggest health care challenges and opportunities, Dr. Mostashari discusses the barriers and benefits to care transformation; payment and policy reform; patient empowerment; and ACOs—a revolutionary platform that empowers doctors on the front lines of medicine and helps them understand and improve the health of patients through cutting-edge technology. When it comes to national prosperity, there are few topics as relevant or pressing to explore as health care. Rising health care costs are staggering our nation’s fiscal health, disparities in health are gaping and the right care is delivered to patients less than half of the time. In a groundbreaking effort led by Farzad Mostashari, M.D.—National Coordinator (2011-2013) and Principal Deputy National Coordinator (2009-2011) for Programs and Policy at the Office of the National Coordinator (ONC)—health information technology was enlisted to reverse these trends and improve patient outcomes. What can be done by individuals and the private and public sectors to address these issues? In a highly informed and detailed analysis, Dr. Mostashari discusses what it will take to set the nation on the road to the right care, what has been done thus far to achieve these goals and the powerful role that multidimensional reform and health IT play in prevention, health and economic prosperity. While data and connected devices have transformed nearly every aspect of our lives, health care IT is one category still catching up. Farzad Mostashari, M.D.—visiting fellow at Engelberg Center for Health Care Reform (2013-Current)—has succeeded as an advocate for digital medical records. Unlike paper files, which, according to Mostashari are “dead” once filed, digital information can be visualized, analyzed and shared instantaneously. In terms of health care, this is a significant asset. The meaningful use of information at the point of care can improve individual outcomes and public health. But even more transformative is an entirely new ecosystem of applications and services that have been brought to life by this digital revolution, and is creating innovate and effective solutions to health care’s most pressing problems. An expert in the intersection of health care and information technology, Dr. Mostashari provides audiences with a behind-the-scenes look at some of the newest advances in health IT, why “data is,” as he claims, “oxygen for innovation” and what changes we can expect to see by going digital. Dr. Farzad Mostashari was energetic, informative and well received by our conference attendees. Feedback was very positive, acknowledging his expertise and presentation skills, and he was a good sport at the comedy reception, volunteering to be part of one of the skits. I hope he had as much fun as we had hosting him! Farzad has made me rethink how we approach our clients from a consulting and retention perspective. Farzad’s presentation would be appropriate for both senior executives as well as a sales team. Farzad was a phenomenal speaker. He took the time to connect with the audience during lunch and throughout his entire presentation.